At our clinic, we have worked under a spirit of constant evolution and innovation for over 30 years, when we started with dental implants. We were specialised in the dental implants that today one could call ‘classics’, with a volume of over 23,000 treatments with excellent results and our patients’ full satisfaction. 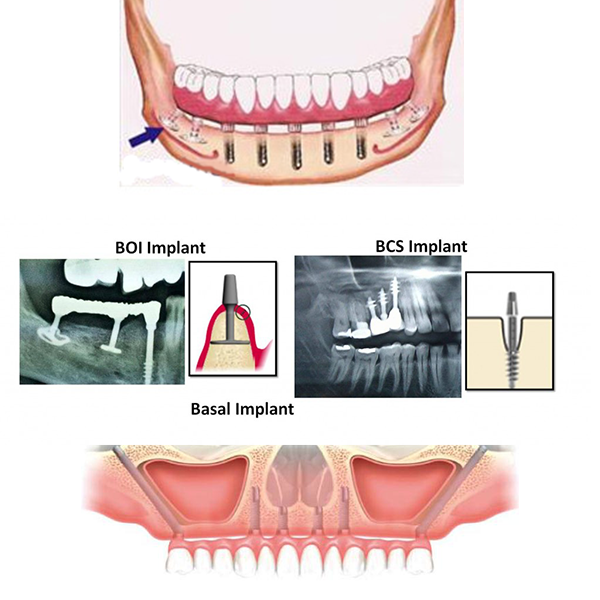 A new type of implant appeared on the market 10 years ago, which requires less bone, is less invasive, less painful and resolves the problem of missing teeth more easily, without complications from having to perform sinus floor lifts and with no need for bone grafts. These two procedures do work, although they are more traumatic, require longer periods of time, are more painful and incapacitating for patients and more costly, as they first require the creation of this bone, and only then the insertion of the implant. These design of these new implants—called basal and compressive—differ from traditional implants and help us to take advantage of small bone areas for inserting them. 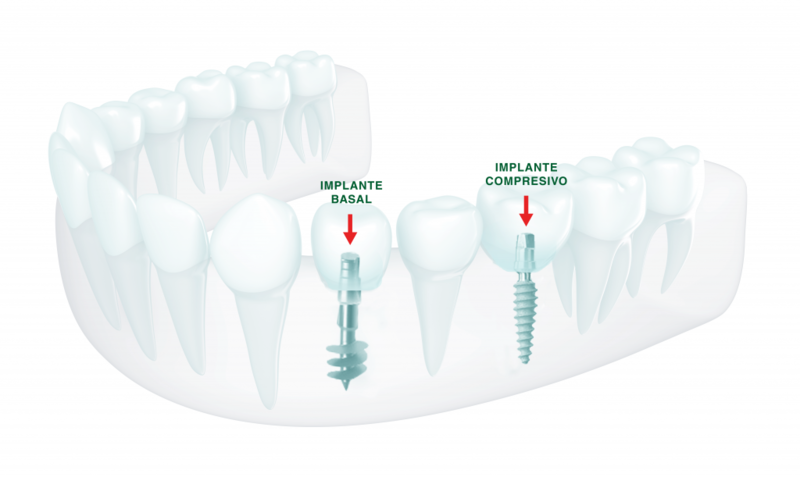 Pioneers in Spain for working with this new implant type, and one of the few dental professionals to employ this innovative technique, we can proudly state that we have done more than 8,500 basal and compressive implants and, above all, feel pride in our patients’ full satisfaction. This type of implant is less aggressive and can be employed with patients who are being treated with oral anticoagulants, such as Sintrom. As there is no bleeding, they can be used with diabetics, cause no inflammation, and do not incapacitate patients, as they leave with a temporary prosthesis over the implant. 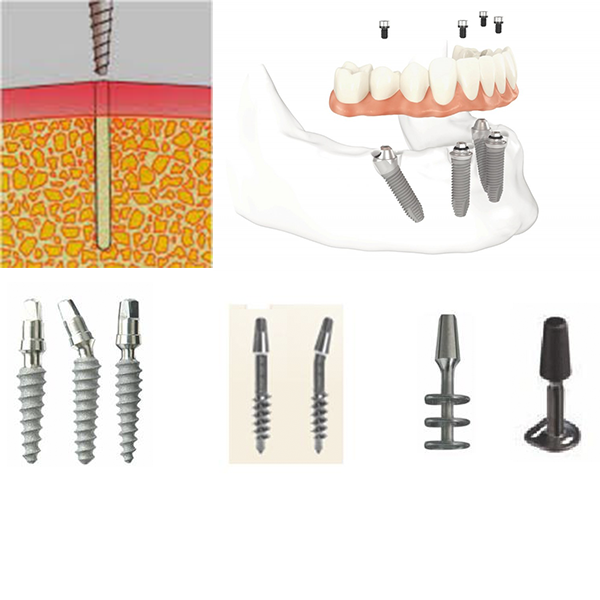 They have nothing but advantages, and the cost is similar, but the time for implant integration is much less, because there is immediate loading, and there is much less pain involved. 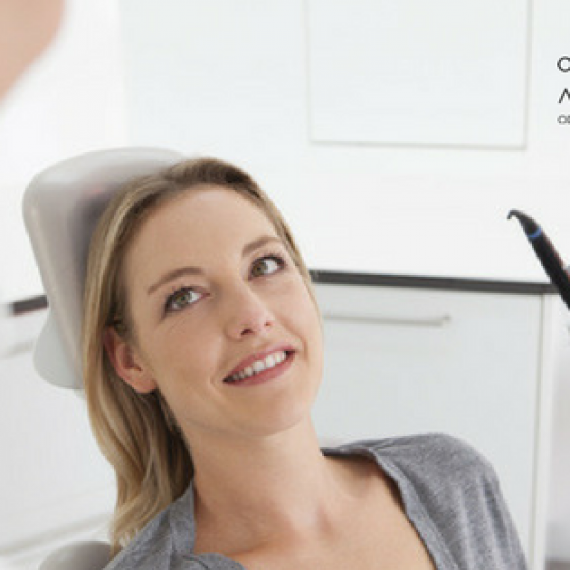 After a one-hour session, a patient can have eight implants inserted and leave with the temporary implants in place. They are placed in the basal bone area of the mouth, where there is never resorption, as it would cause full loss of the jaws. It can use small spaces due to its design, due to its attachment to the cortical part of the bone, which is hard, thus attaining very high primary stability. Then we can immediately load and install the temporary prosthesis at the same time, an extremely significant advantage compared to traditional implants. The final prosthesis is then fitted after two or three weeks, depending on whether extractions are needed and the number of pieces to place. A complete overhauled mouth using this implant type (if extractions are not required) can be finished in 16 days with the permanent prosthesis fitted. The design of these implants changes, varies and continues to evolve. They resemble a corkscrew, which provides the function for their adhesion to the osseous walls of the bone, where they are anchored to one cortical bone, or two or three cortical bones, thus giving them primary stability. Taking a block of concrete as an example, a traditional implant would be placed into the middle of the fresh concrete, and we would have to wait for the concrete to harden. This implant is anchored to the walls of the concrete block, thus giving us much greater primary stability. Like the basal implant, compressive implants have a modern conical design. The classic implant is cylindrical, requiring a drill bit of practically the same size as the implant diameter, which is what causes the aggression to the bone to be so much greater. We also have to wait for the implant to be integrated, because due to physics and its cylindrical shape, all the force we apply to its top is transmitted to the base and the integration time is longer. Compressive implants are installed without any type of scalpel incisions. Using an extremely small bit, a tiny incision is made into the mucosa and the bone. Implants with up to a 5mm diameter are inserted through this small hole, managing to conserve a large part of the bone, compact this bone, pushing it toward the walls in order to harden it, as this part of the bone is soft and it is the implant thread that enters the bone. As the implant design is conical, all the force we apply to the prosthesis is distributed along all force vectors, thus loading the entire bone. This is what lets us have immediate loading with absolutely no types of problems, attaining the restoration of a single tooth and up to the entire mouth. Both basal and compressive implants are of Swiss origin, manufactured in titanium and marketed throughout the world. Abdominal surgery has advanced with the invention of laparoscopy .Surgery has advanced with the invention of the laser and arthroscopies.- Implant surgery have advanced, completely minimising aggression, reducing bleeding, enlarging the scope of action to sites where implants could not previously be placed, or where sinus lifts were required, or lateralisation of the dental nerve was required. In today’s modern world, we obtain implant placement and patient rehabilitation in only three weeks. 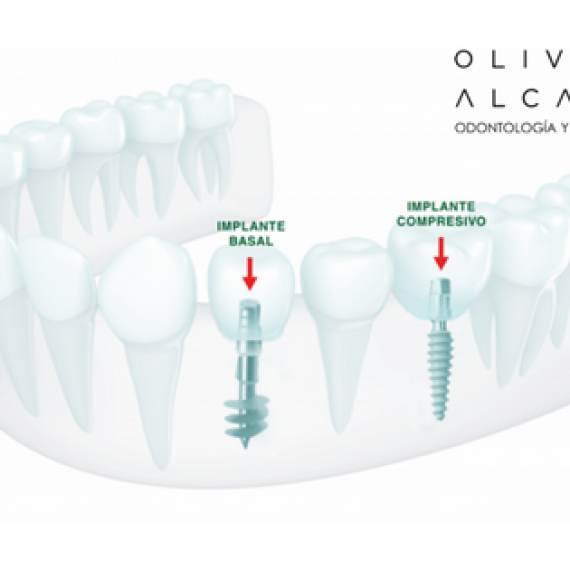 When Dr Gómez Oliver started to work with implants 30 years ago, many dental professionals did not believe in their viability, and the technique was relatively unknown. As mentioned above, classic implants do continue to be valid solutions today, but the future will be immediate loading basal and compressive implants. 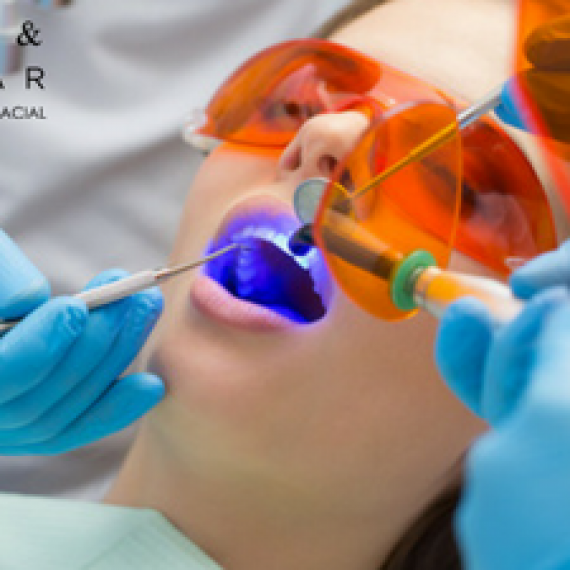 We can do extractions immediately. We can install the implants immediately. If necessary, we can fill the alveoli from the extraction with bone or plasma. Measurements are taken for the final prosthesis, or we wait four or five days for the tissues around the extraction sites to heal and then take measurements. Success rate of over 90% in cases in which sinus lifts were unavoidable previously.